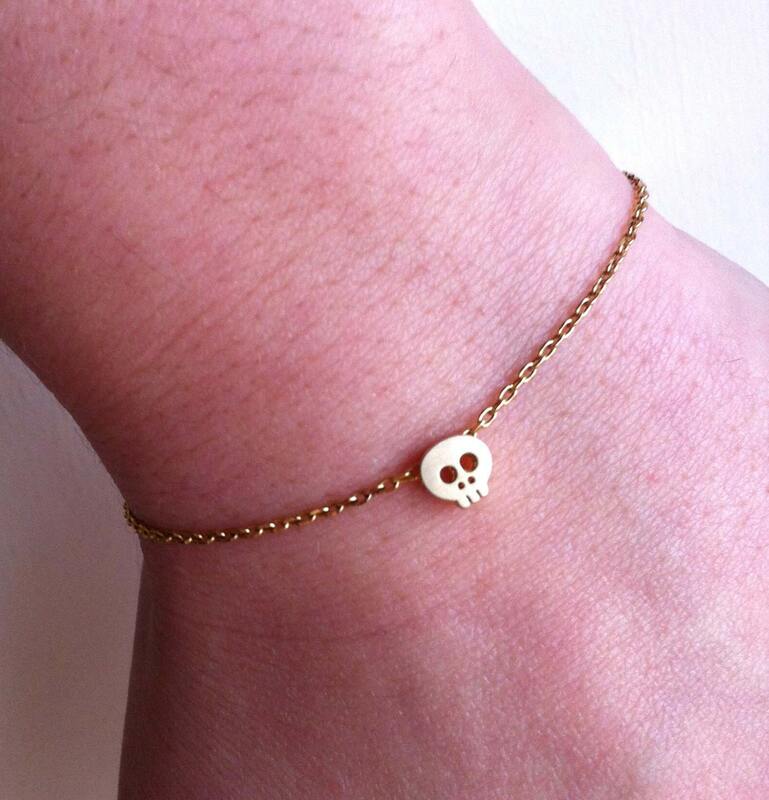 Tiny and delicate little 14KT matt gold plated Skull on a gold plated chain. 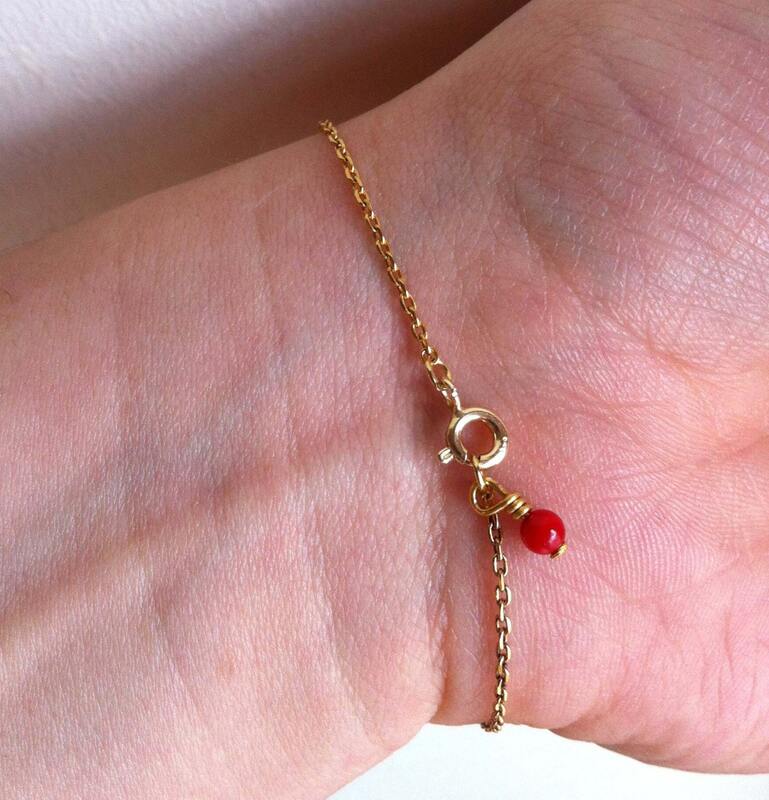 Red Coral little pendant bead at the end. 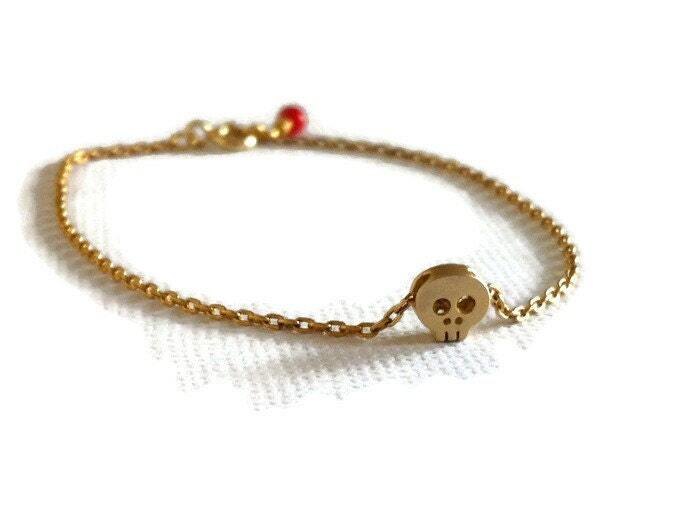 ✪ Tiny 14karat matt gold plated 6mm skull. 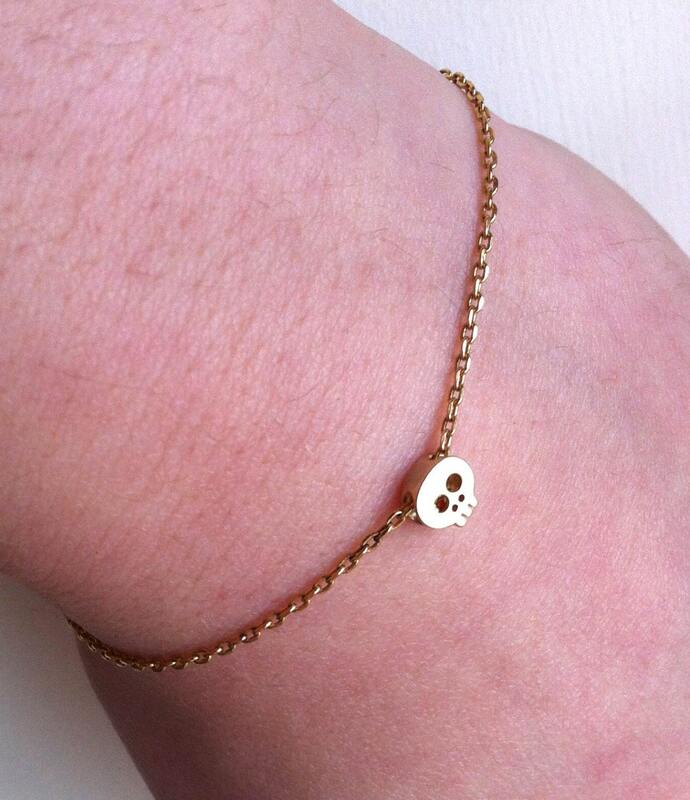 You can also see my other skull bracelets! 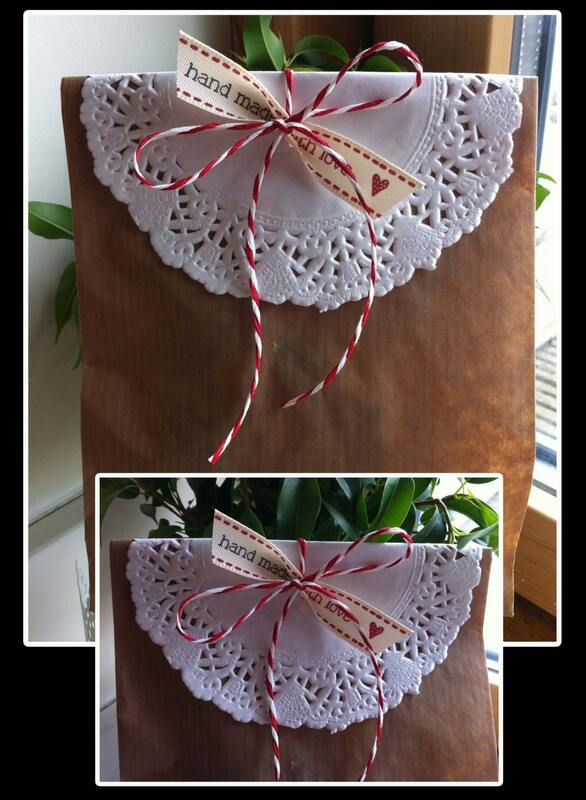 Just lovely, fast delivery, beautiful item. Thank you very much! Love this, and my daughter loved this. Will most likely get more! Thanks!